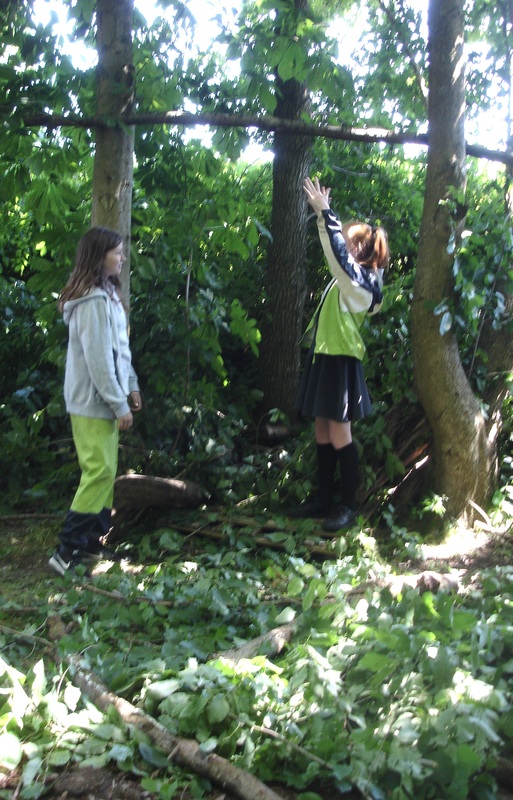 At this time of the year our forest needs a lot of maintenance. 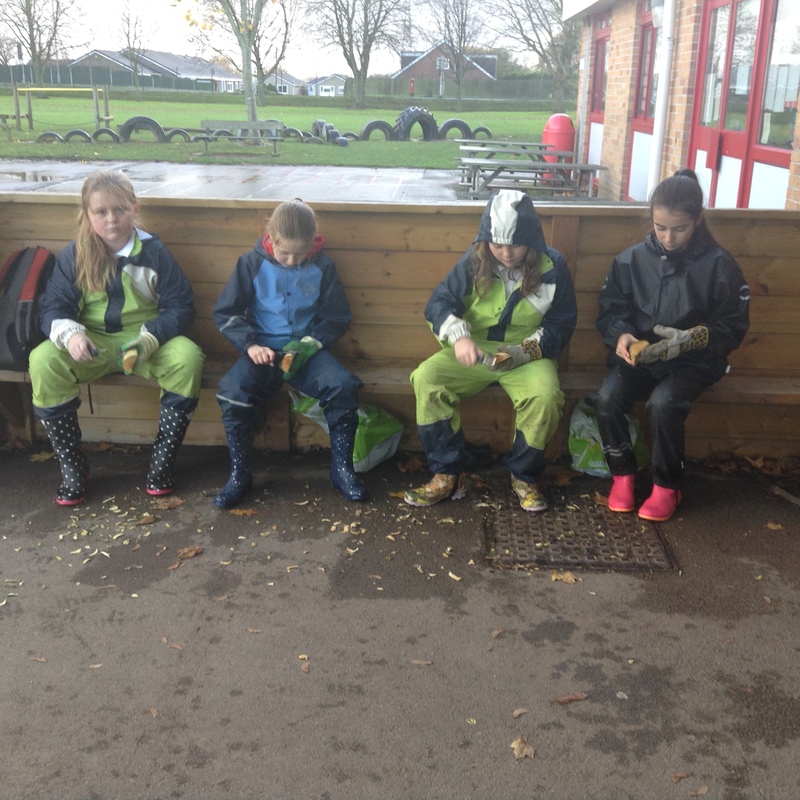 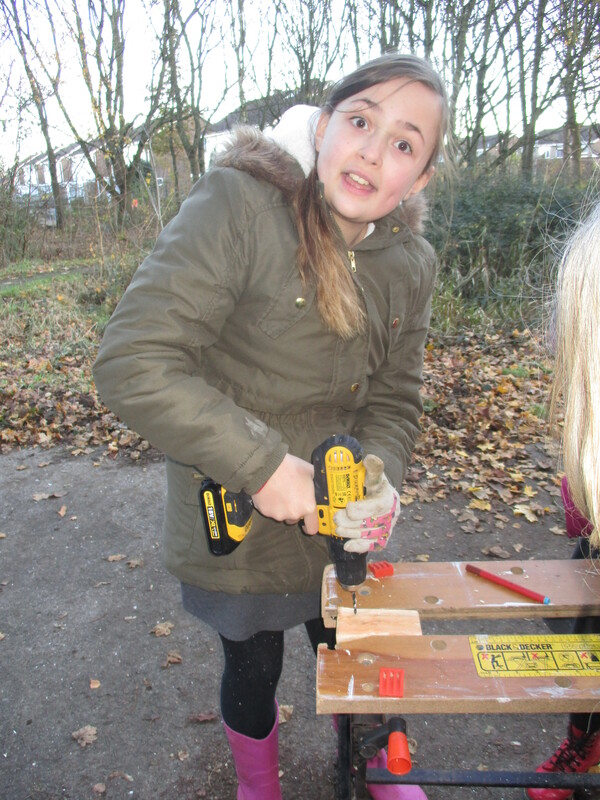 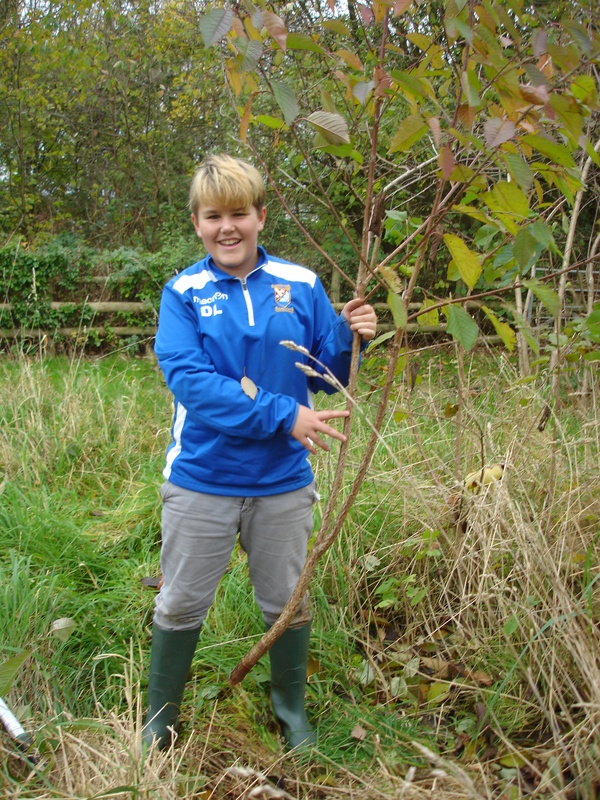 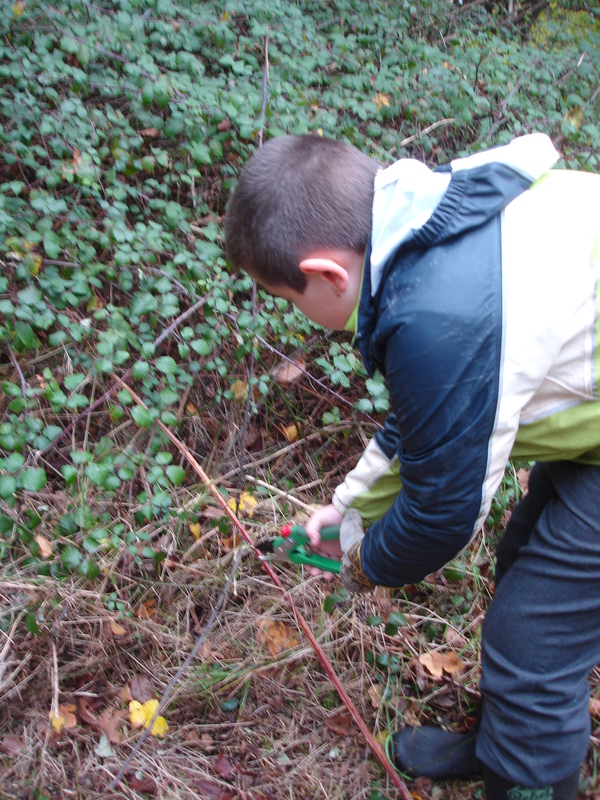 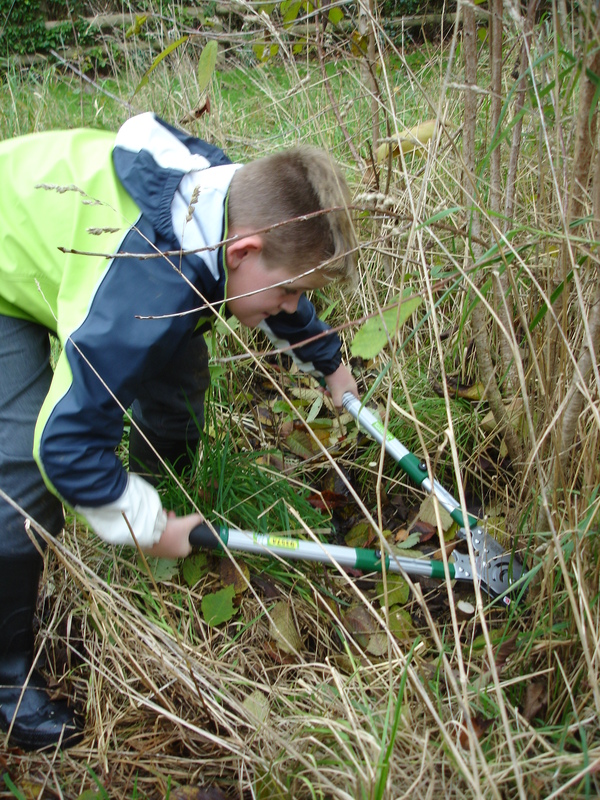 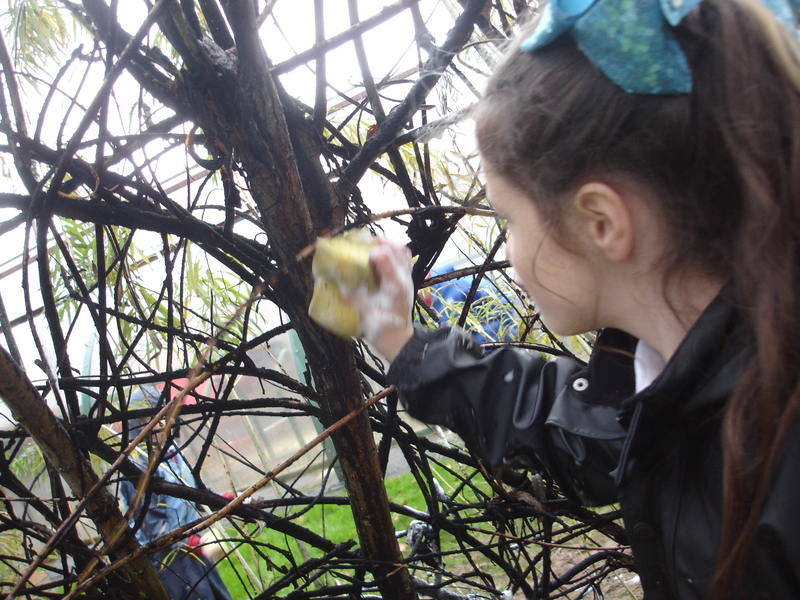 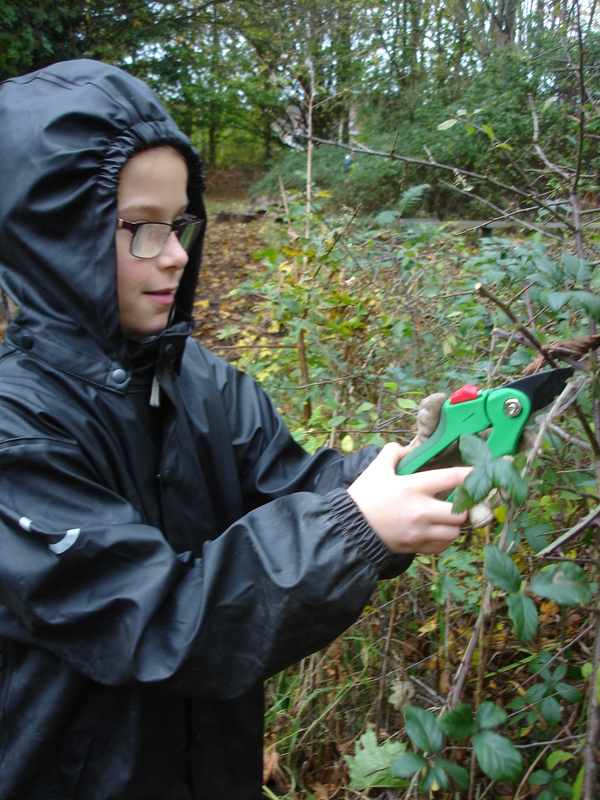 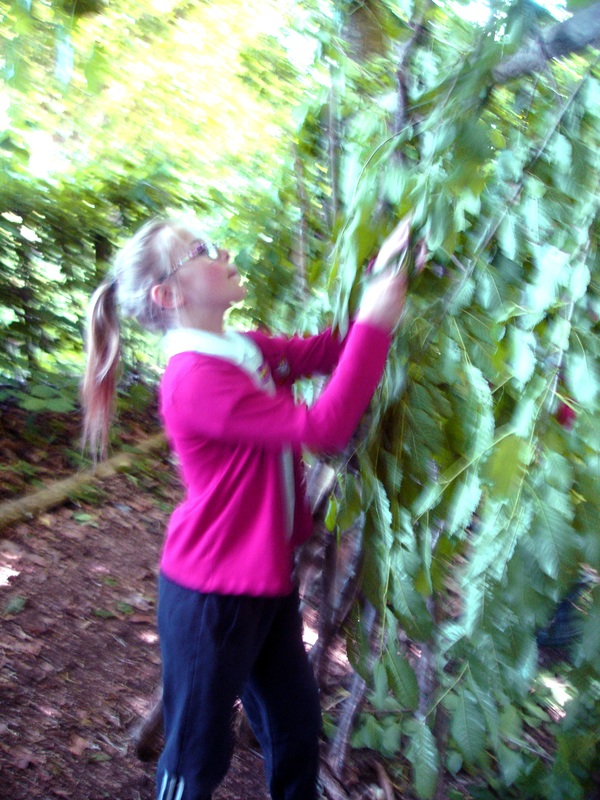 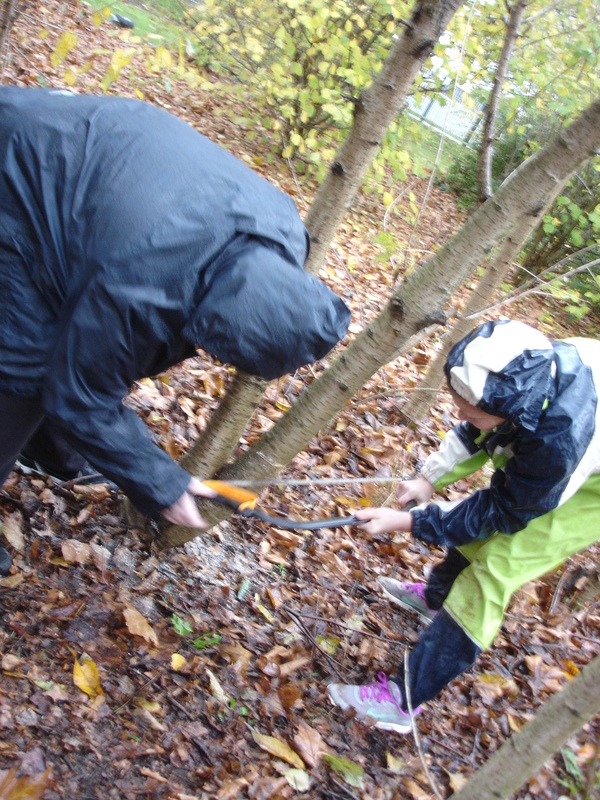 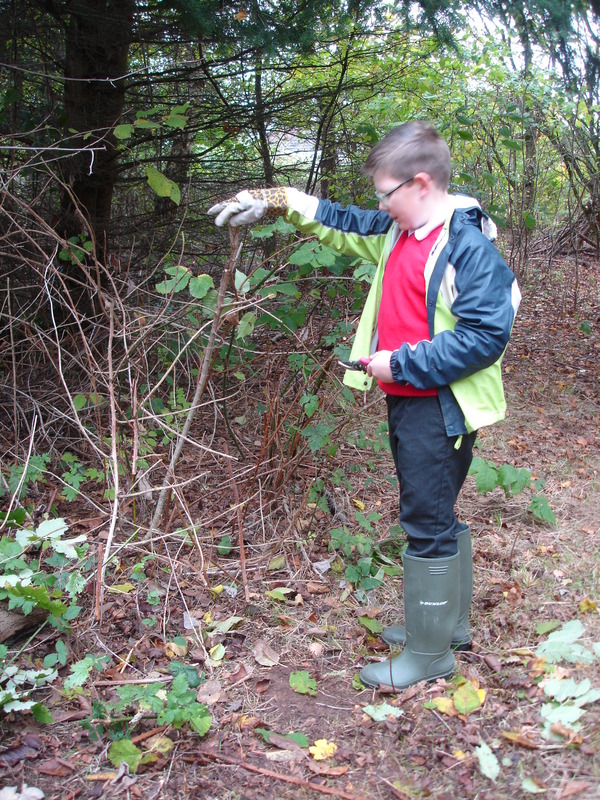 We have been learning how to prune the plants and trees and have worked industriously to clear and tidy the area. 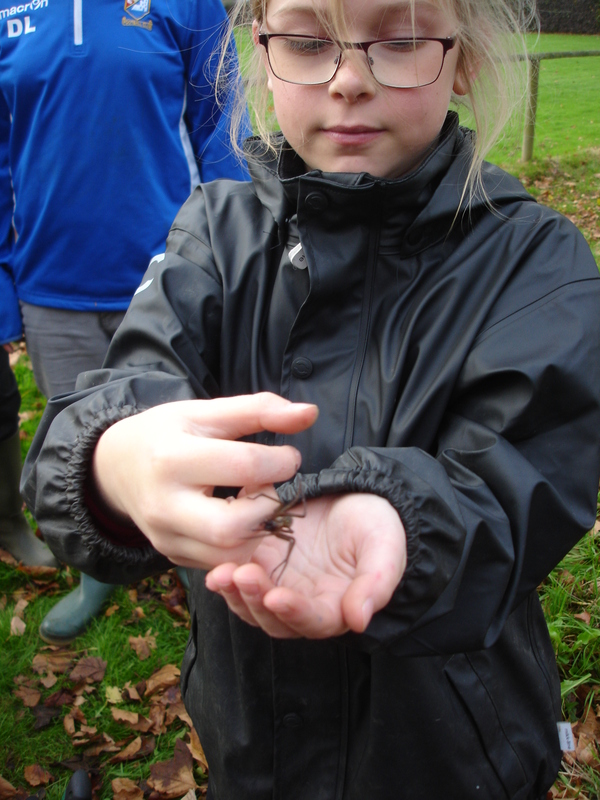 Along the way we have found some rather large spiders which one of our classmates is not afraid to handle…HOW BRAVE! 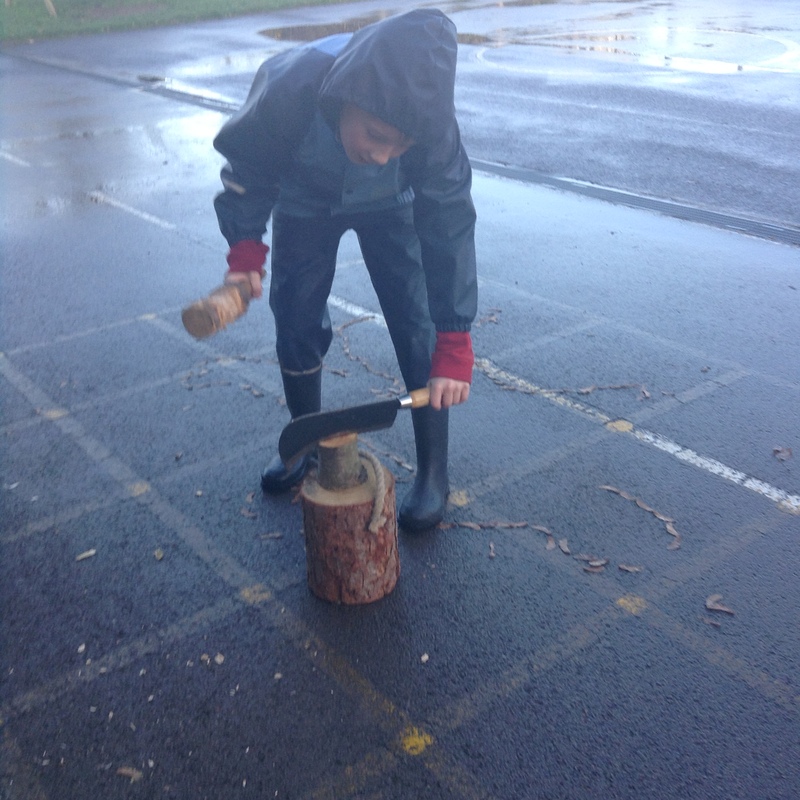 Our topic this term is ‘Beast Creator’. 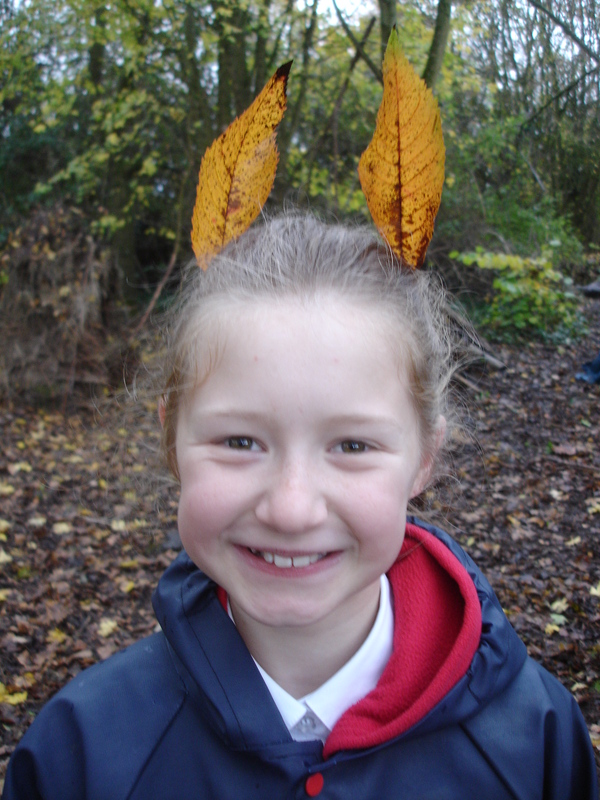 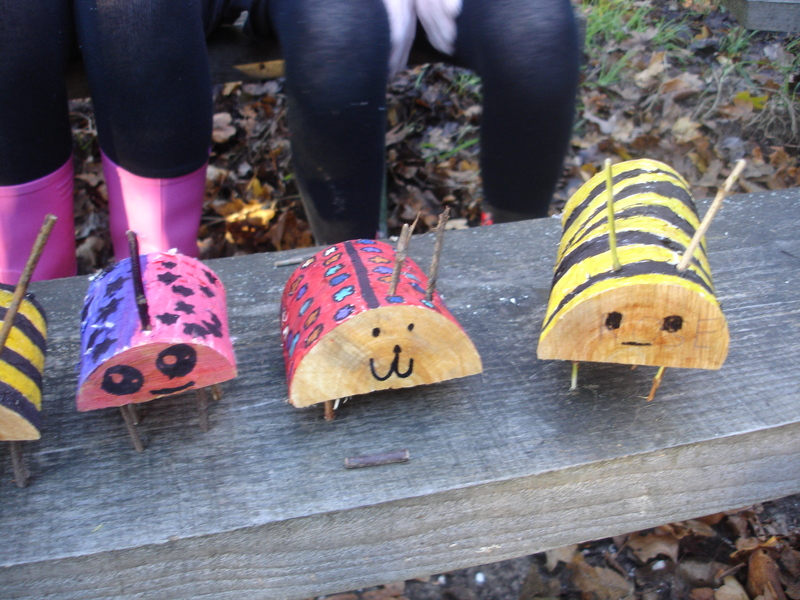 We thought it would be interesting to design and create mini beasts from natural resources in the forest. 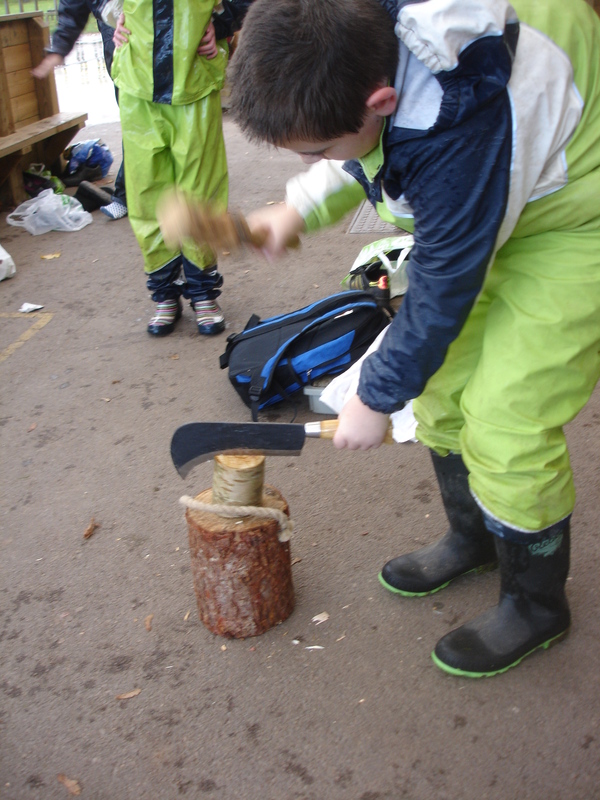 In readiness for this we worked up a sweat sawing logs using a bow saw. 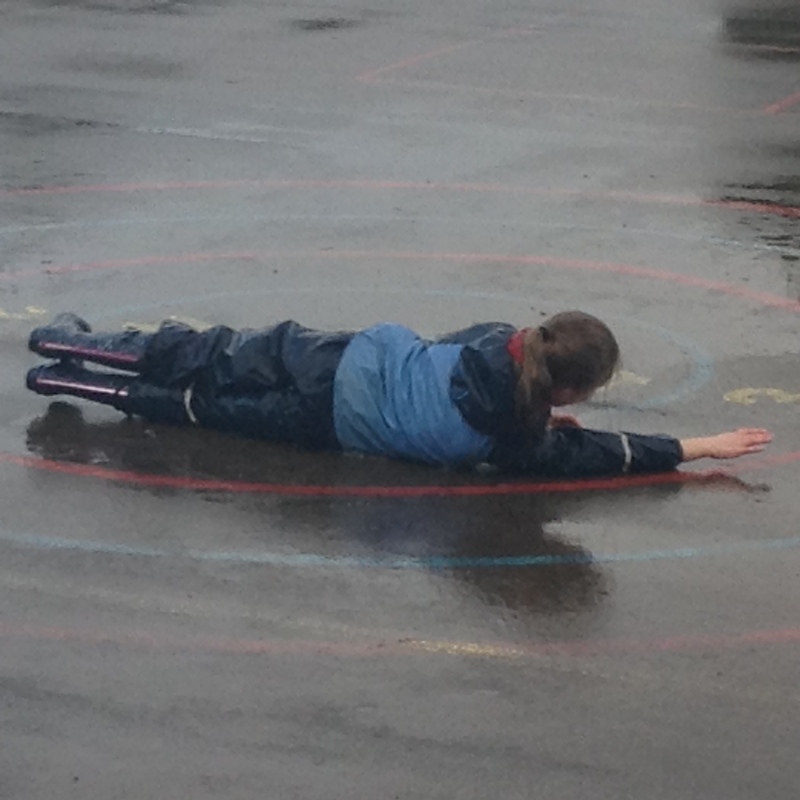 It was MUCH harder work than we had realised! 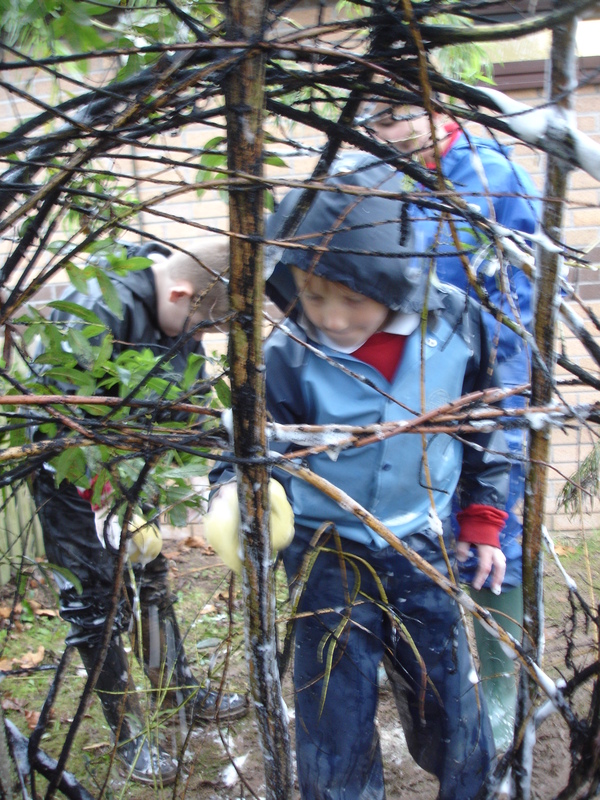 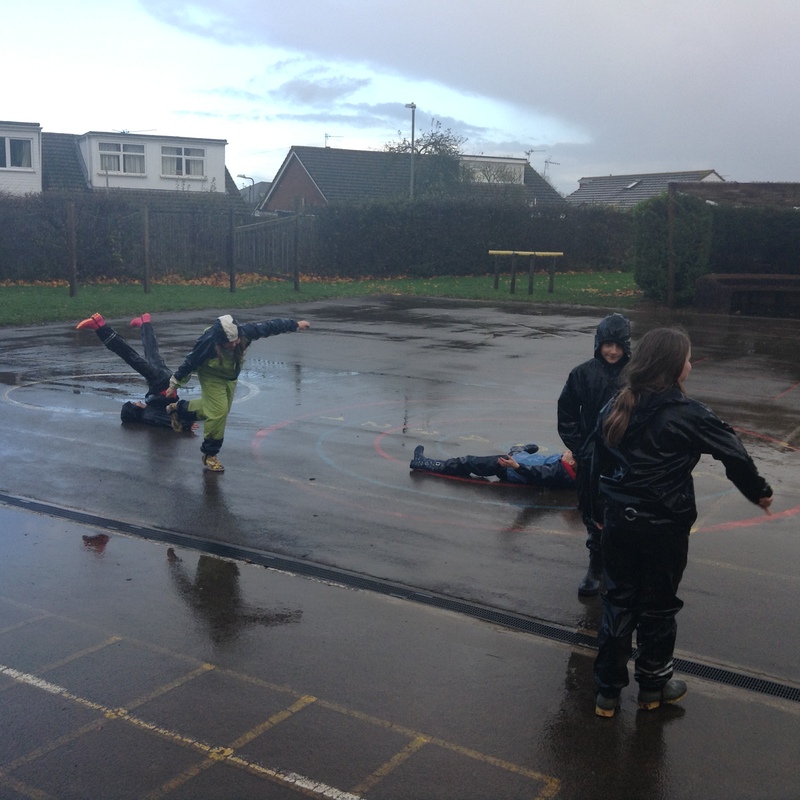 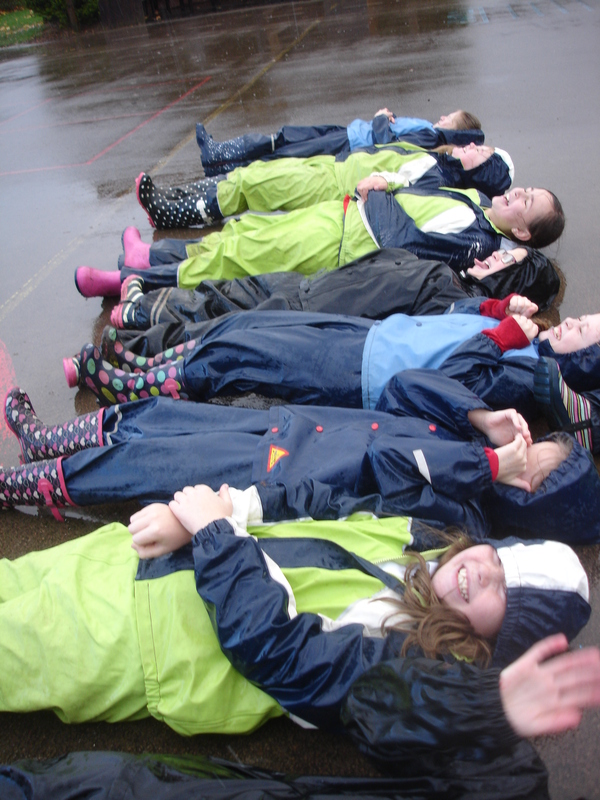 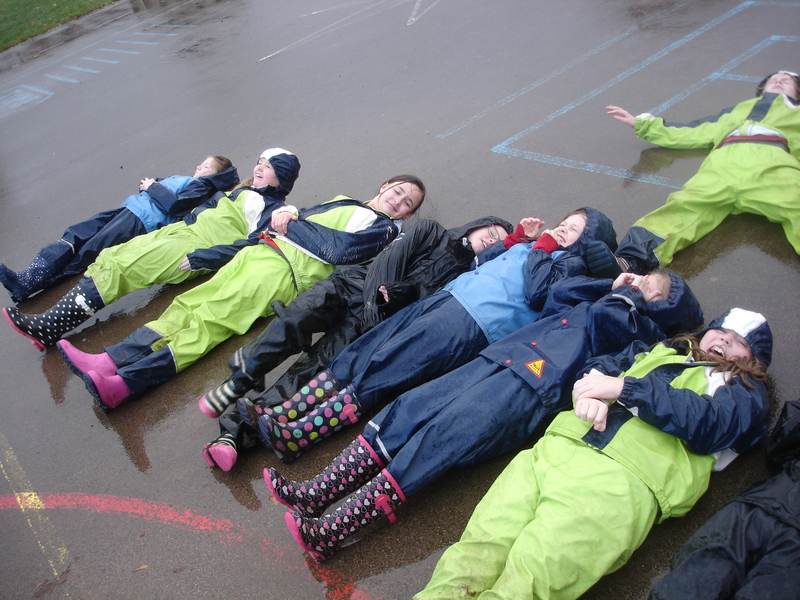 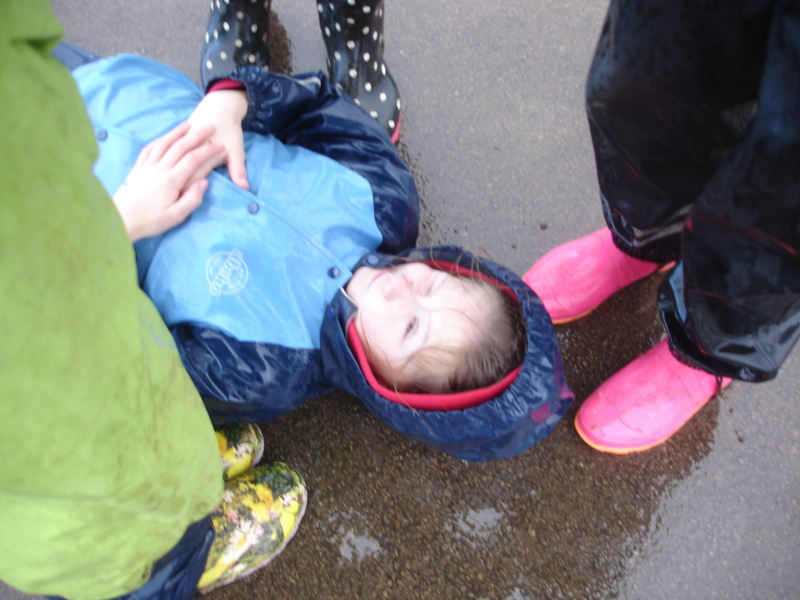 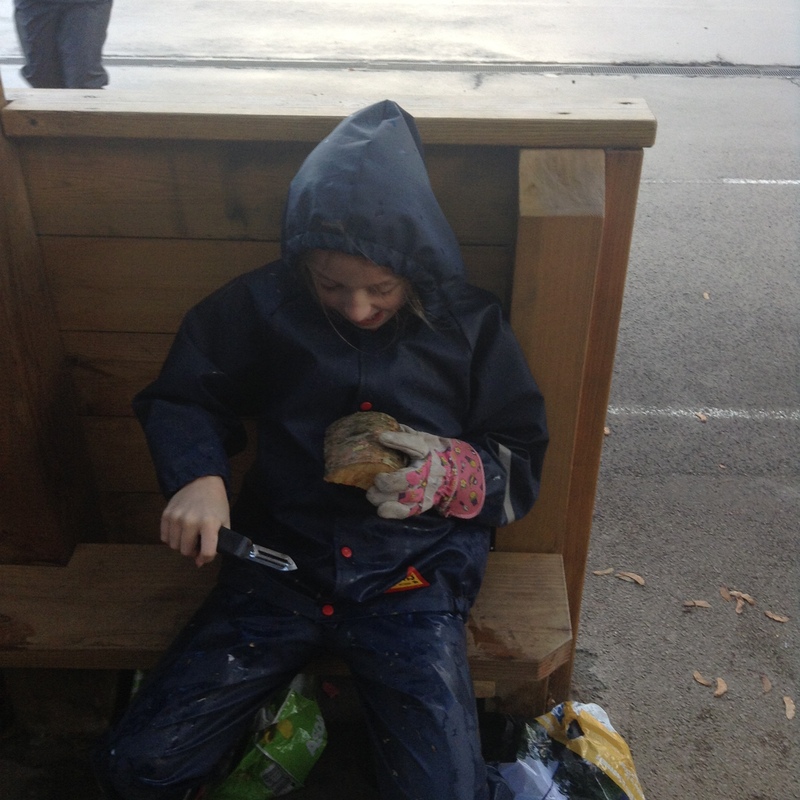 It poured with rain this week so we bought Forest School under cover, however the rain was far too tempting for some of us! 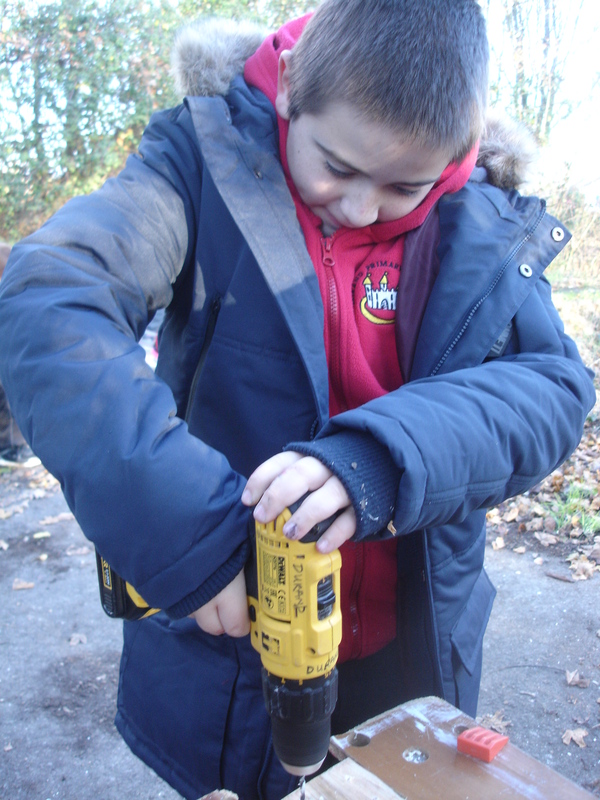 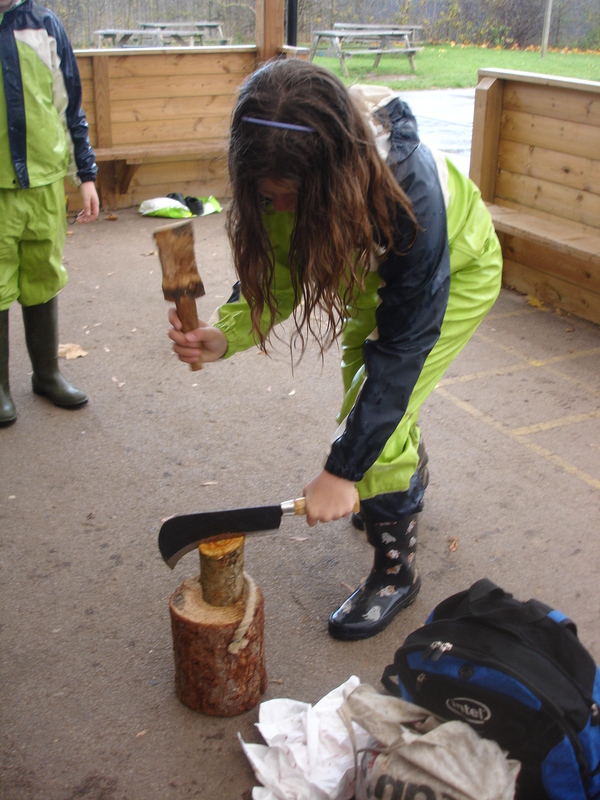 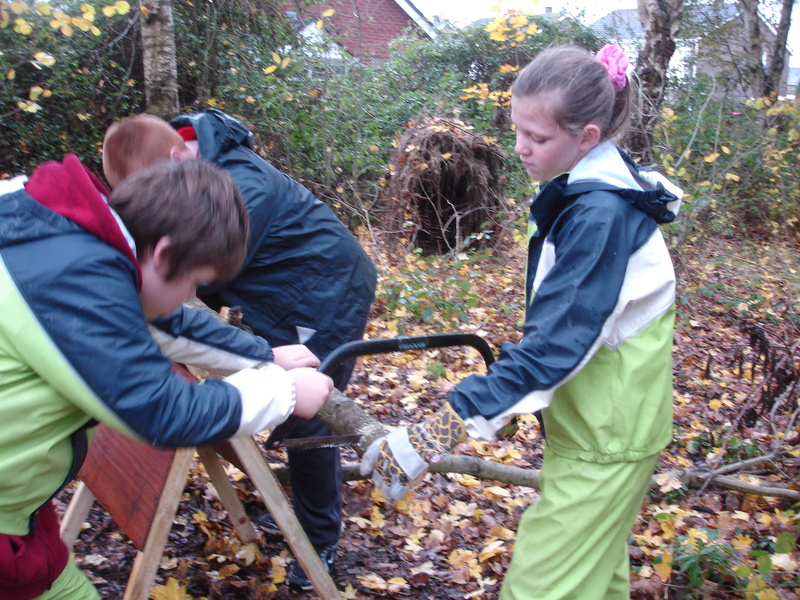 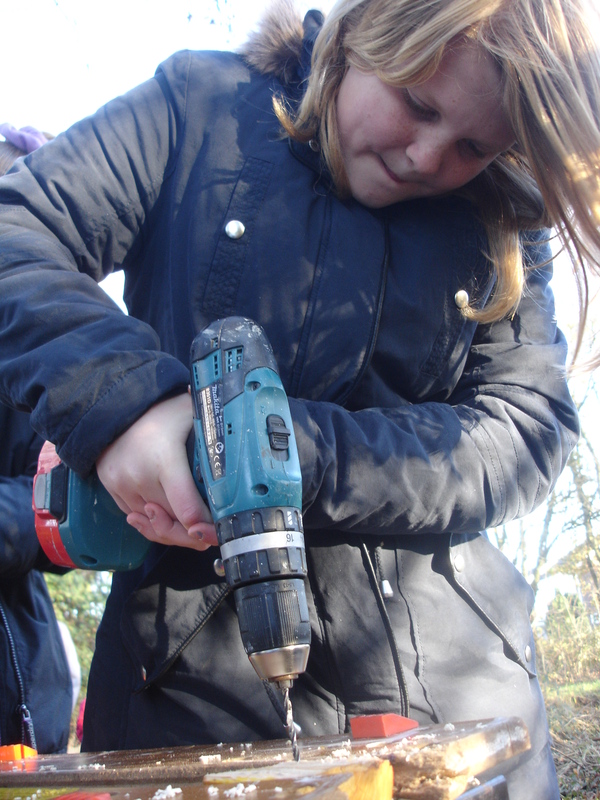 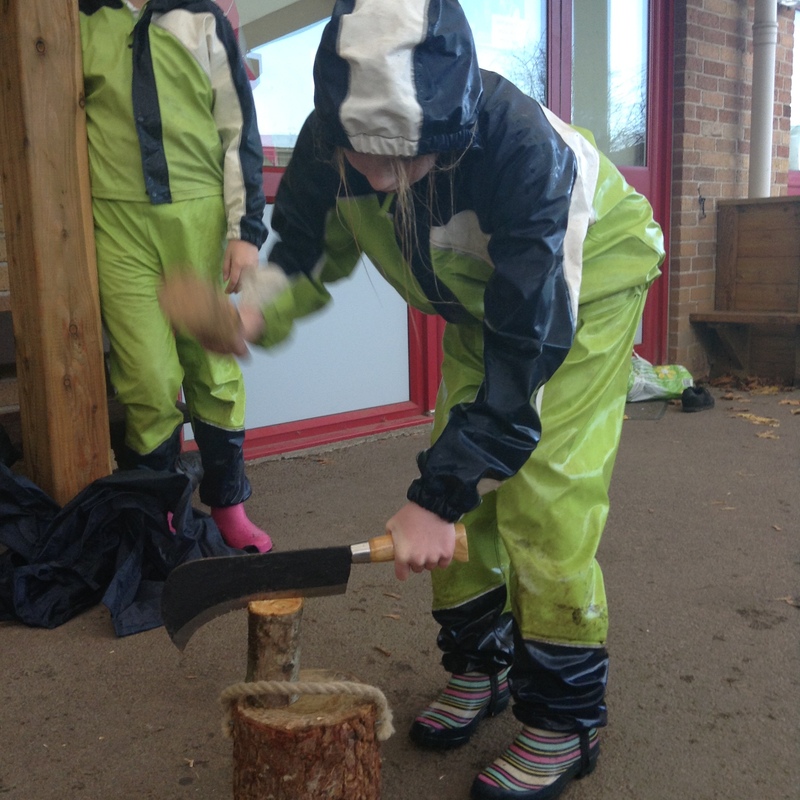 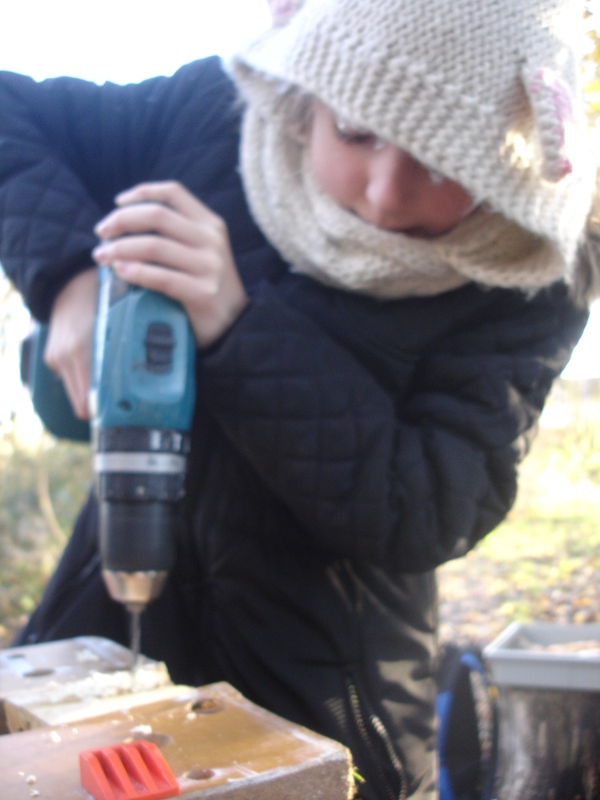 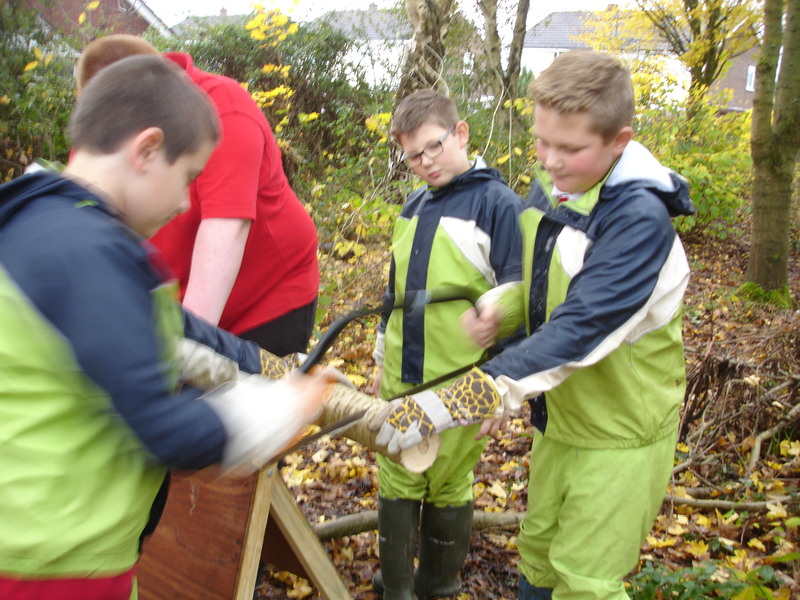 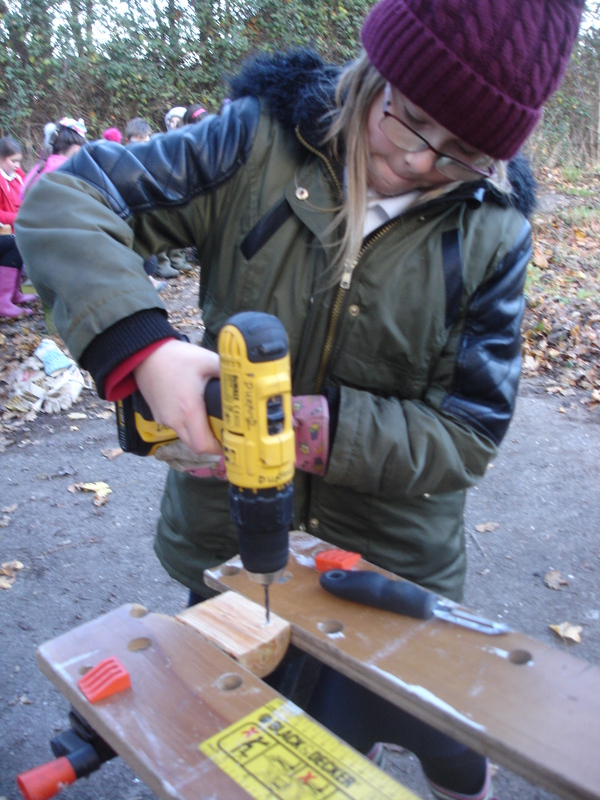 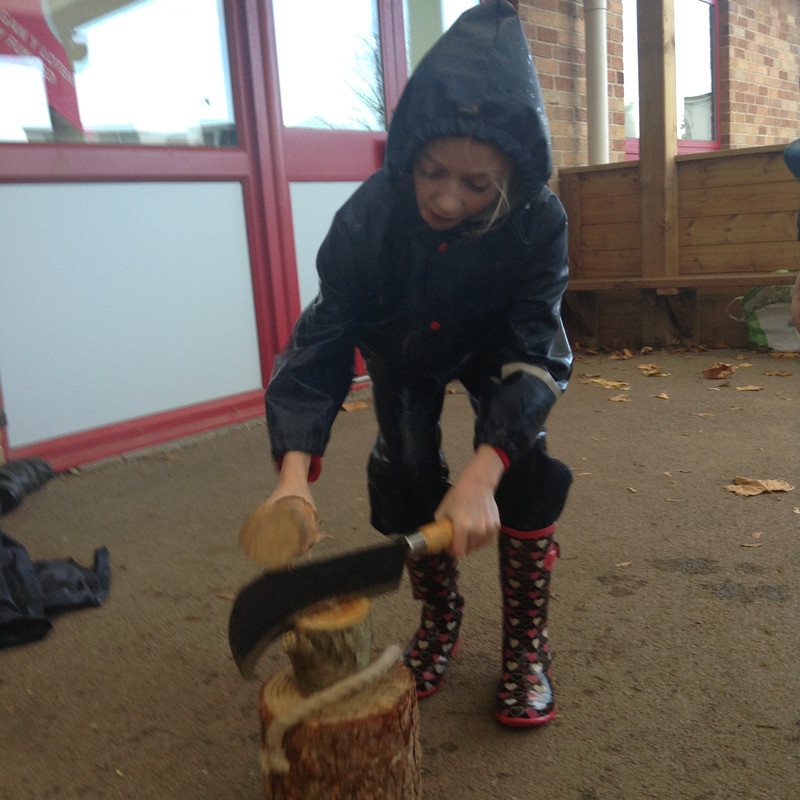 When we weren’t swimming in the puddles, we used a very dangerous looking tool to split wood for our mini beasts. 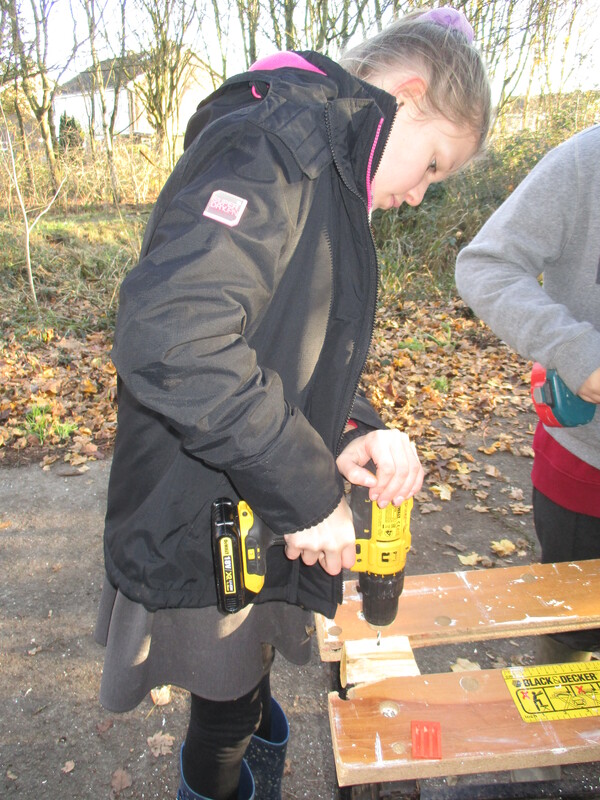 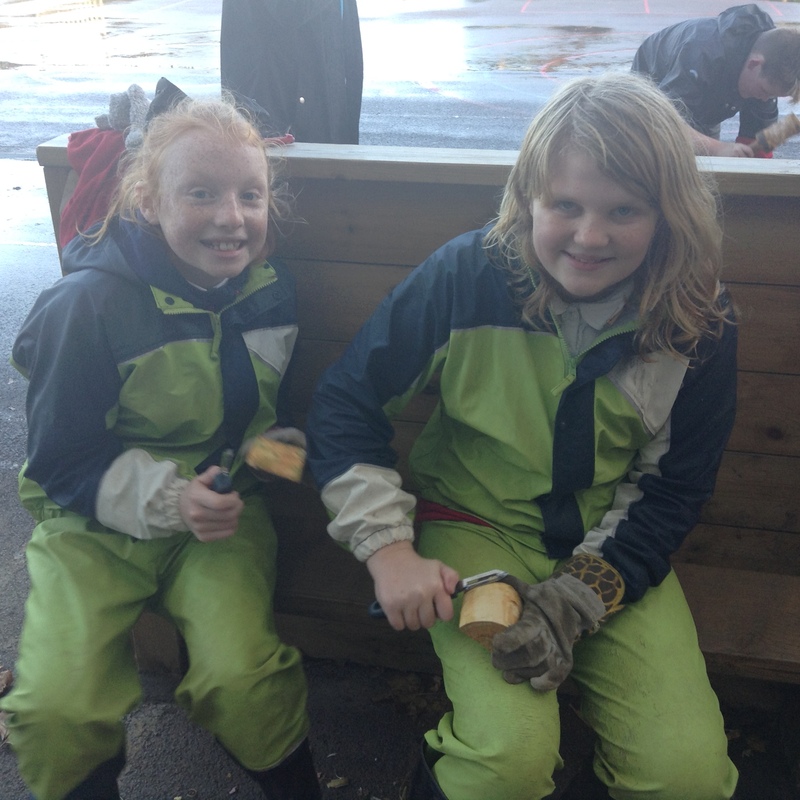 After that we peeled the bark from our logs ready to draw a design on them next week. 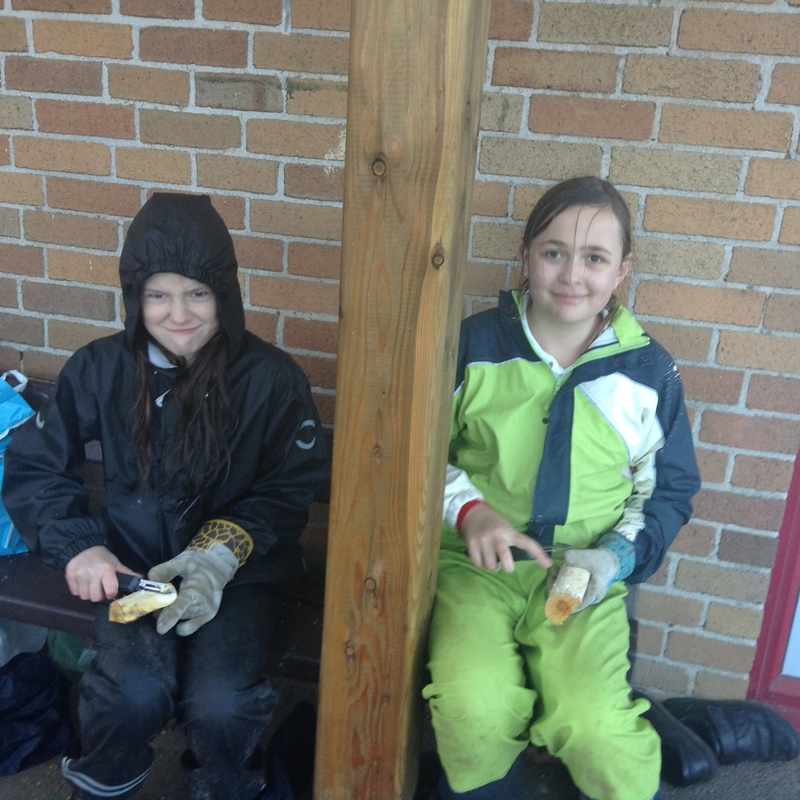 We have braved lots of elements this half term, the latest was the cold. 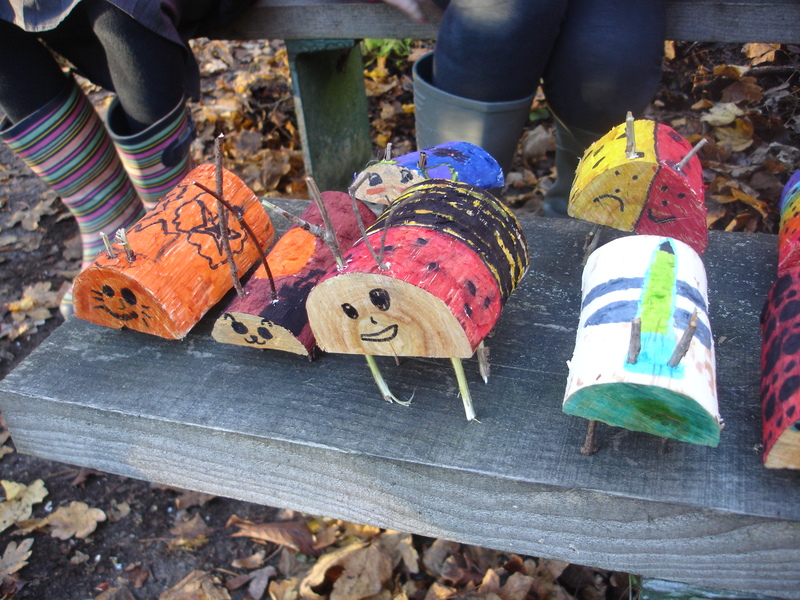 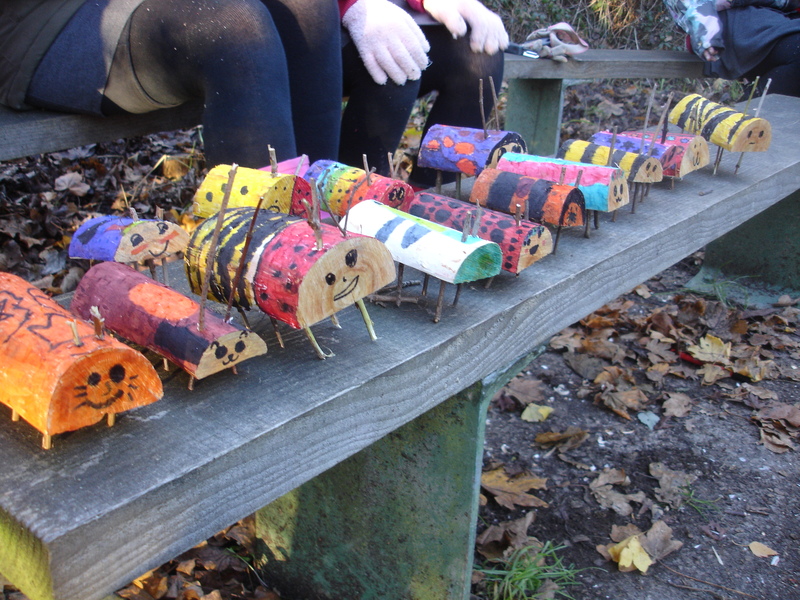 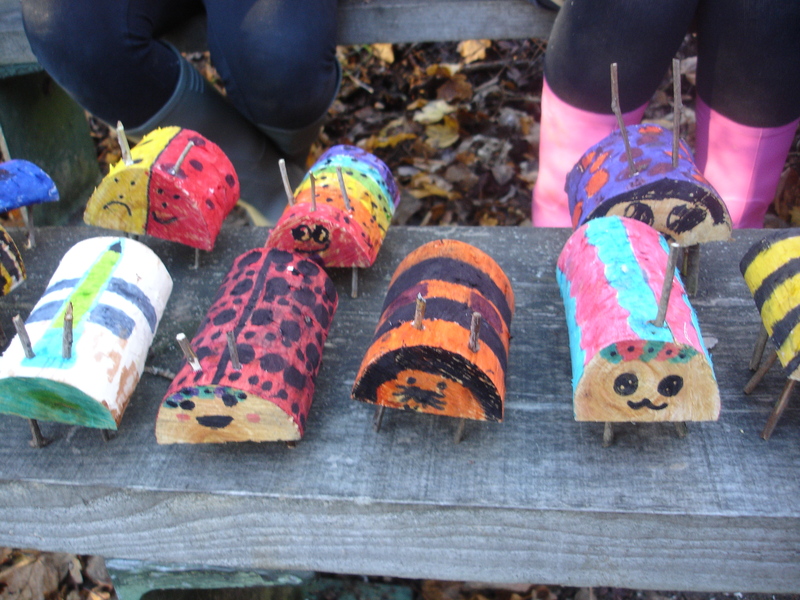 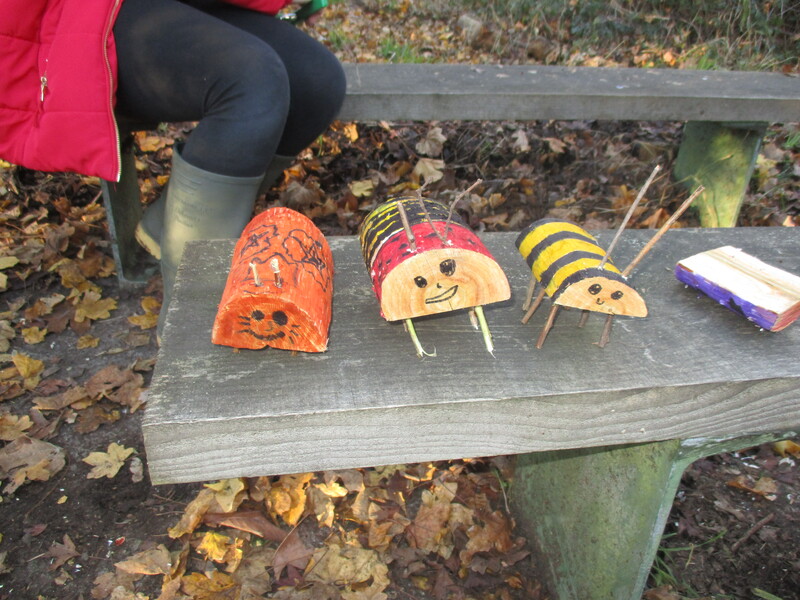 Despite the freezing temperatures we thoroughly enjoyed designing and decorating our wooden mini beasts. 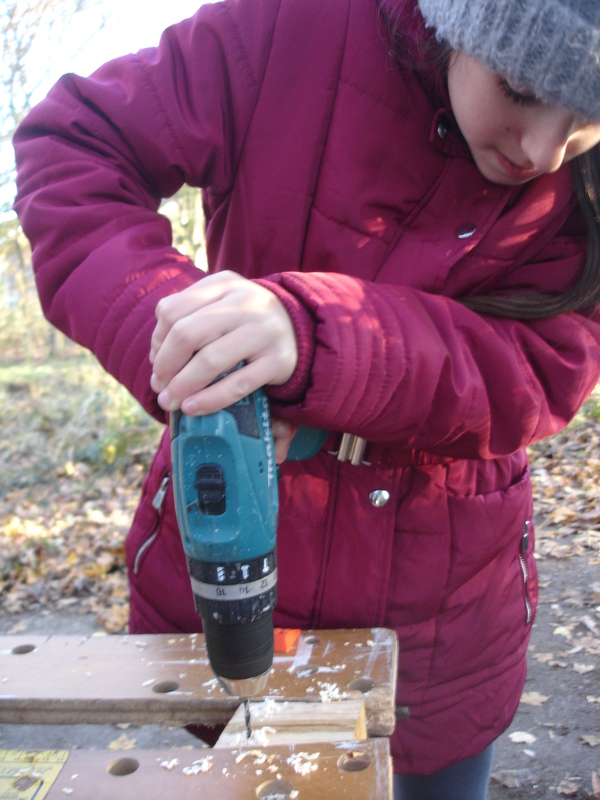 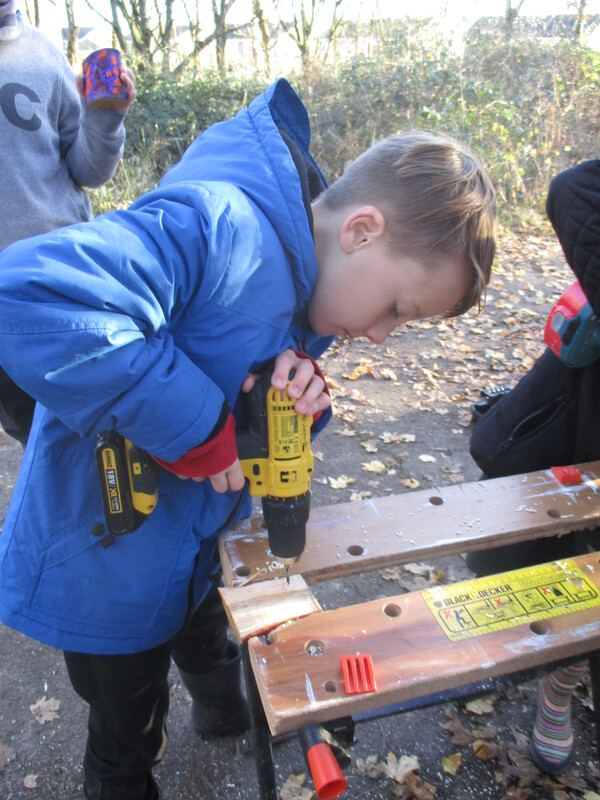 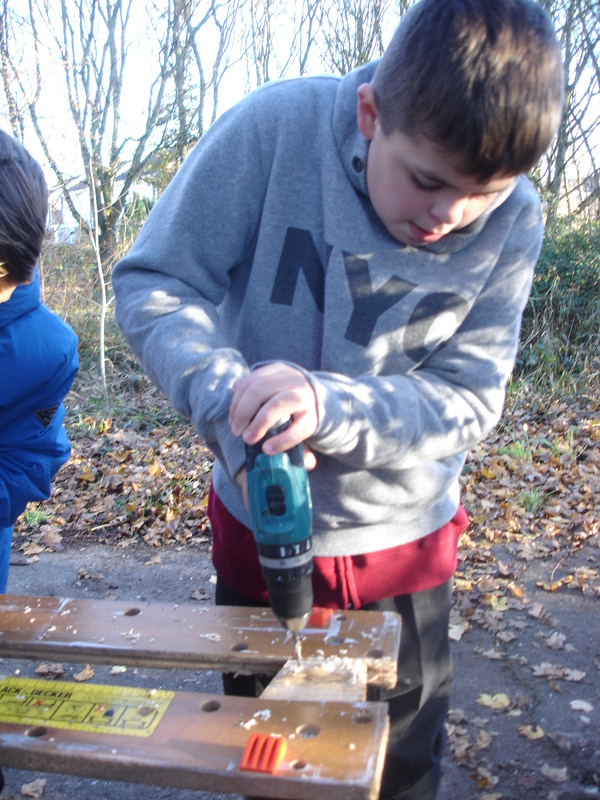 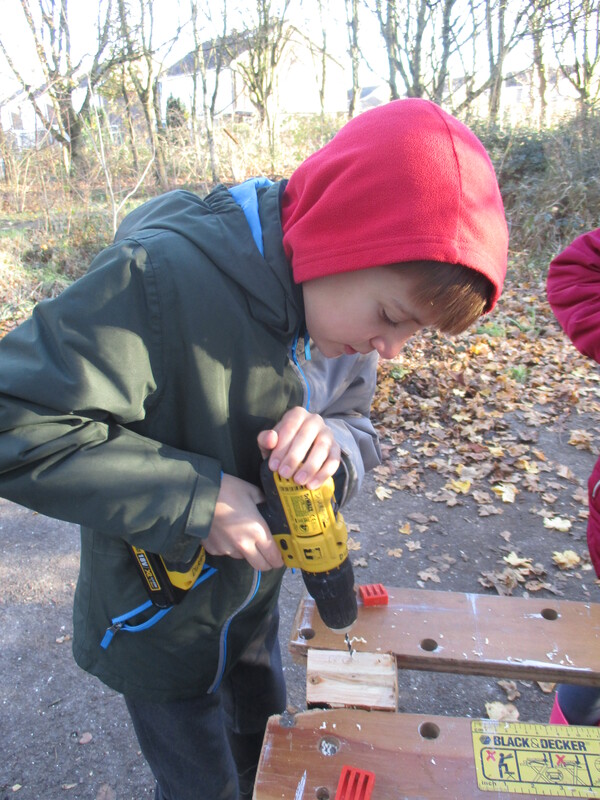 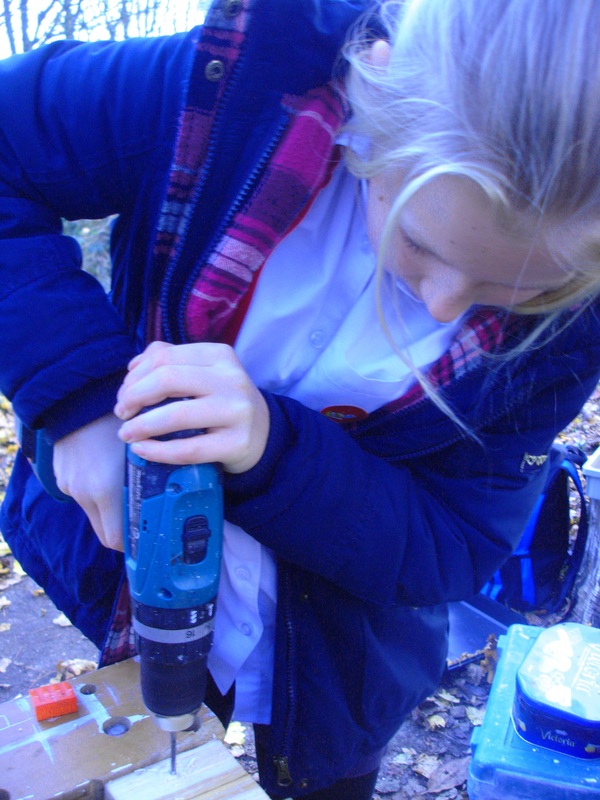 The most exciting part of the afternoon was using a drill to make holes for our creatures legs and antennas. 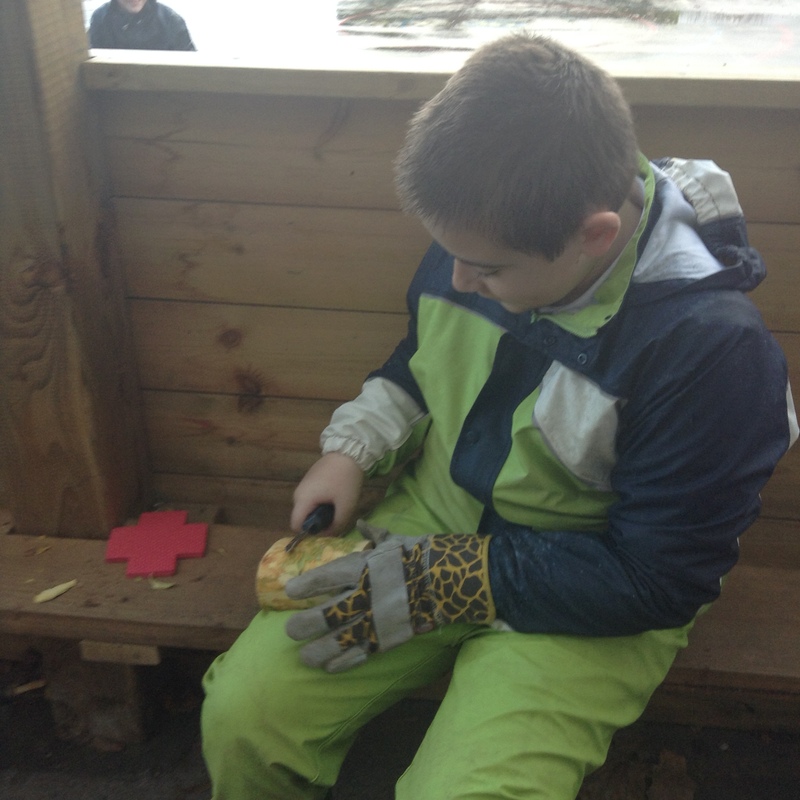 Scroll through to the end to see some of our finished creations. 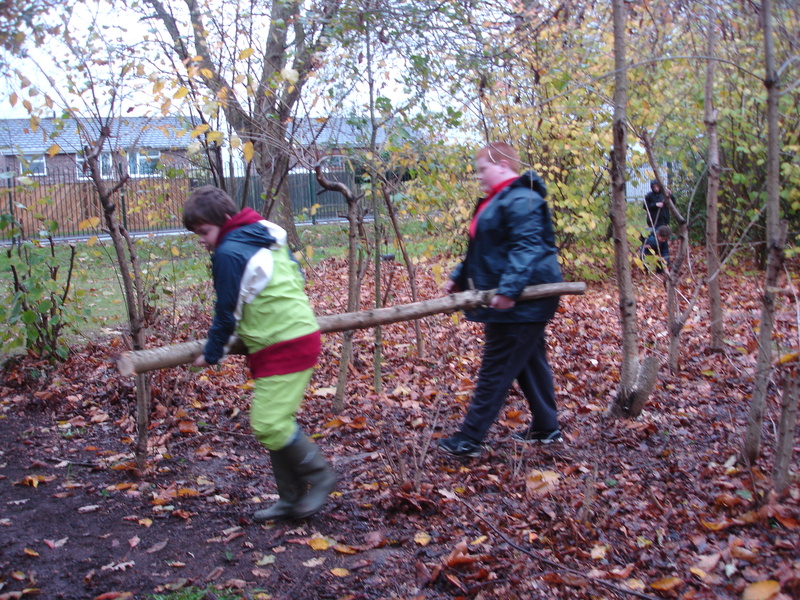 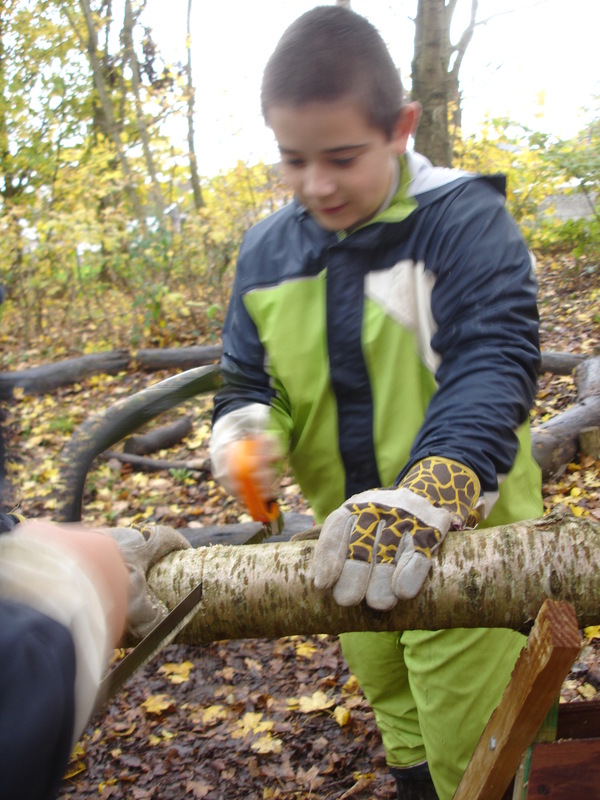 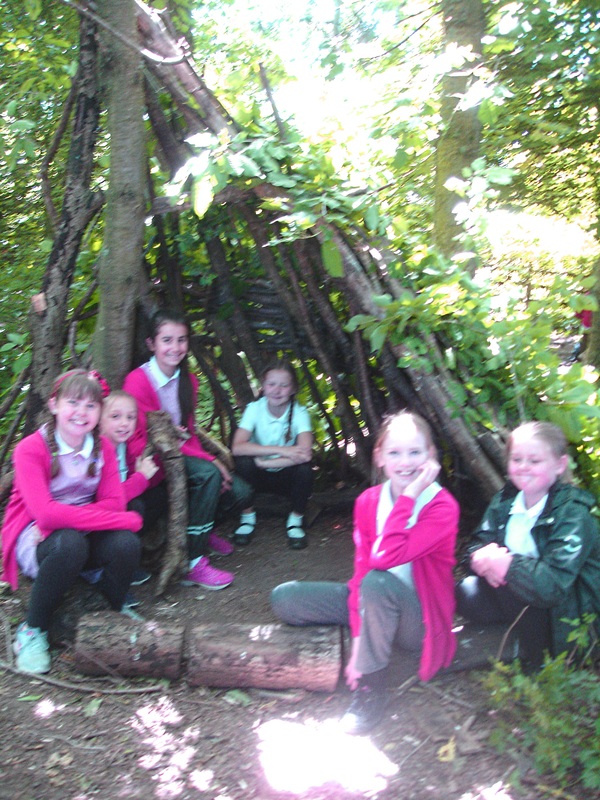 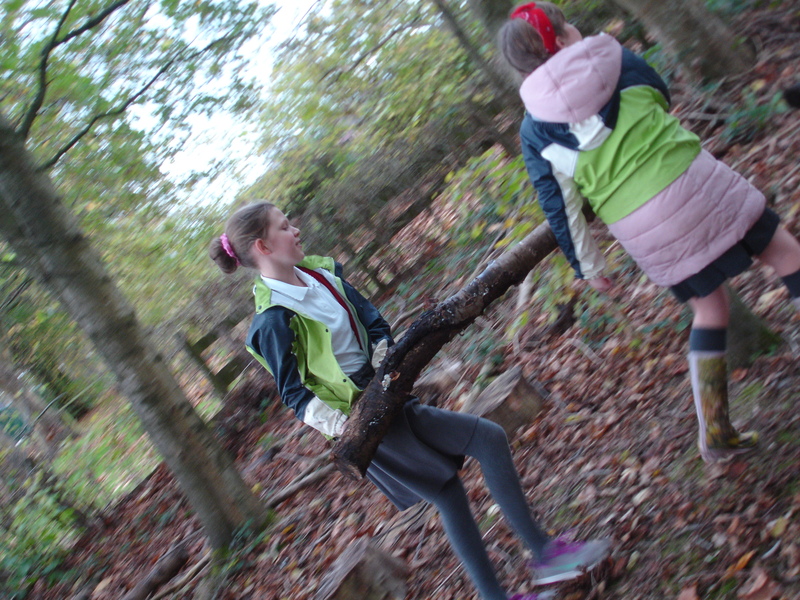 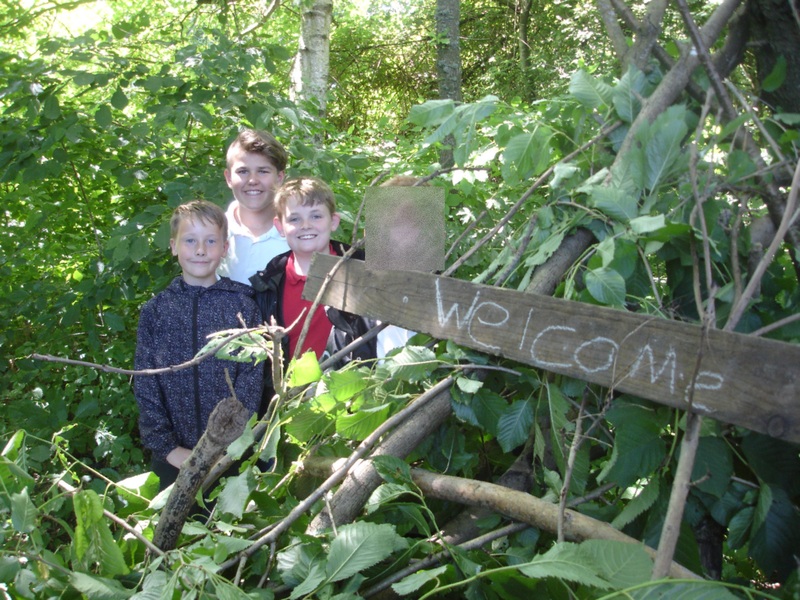 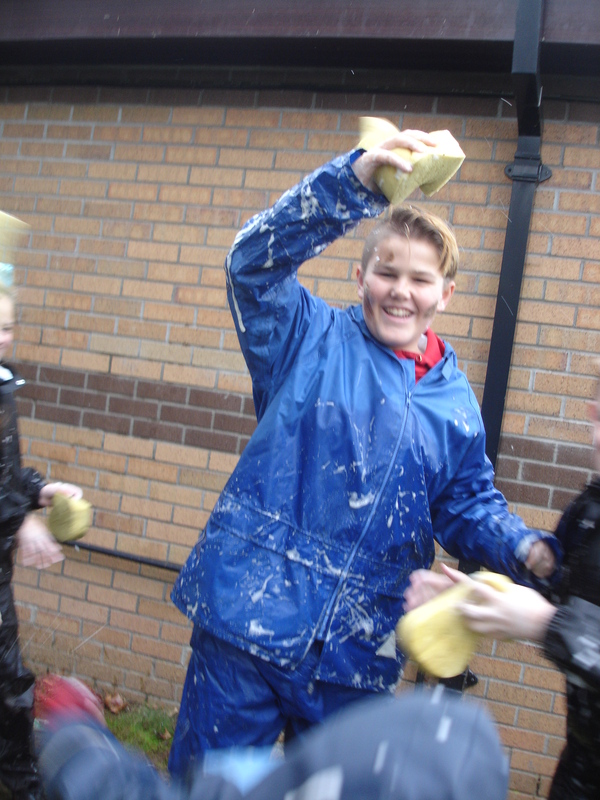 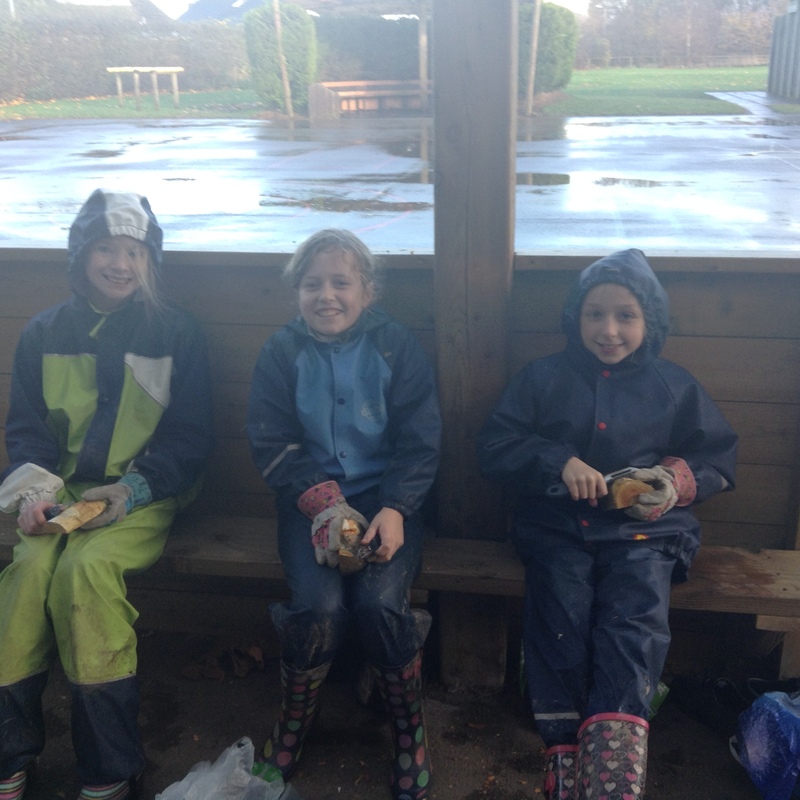 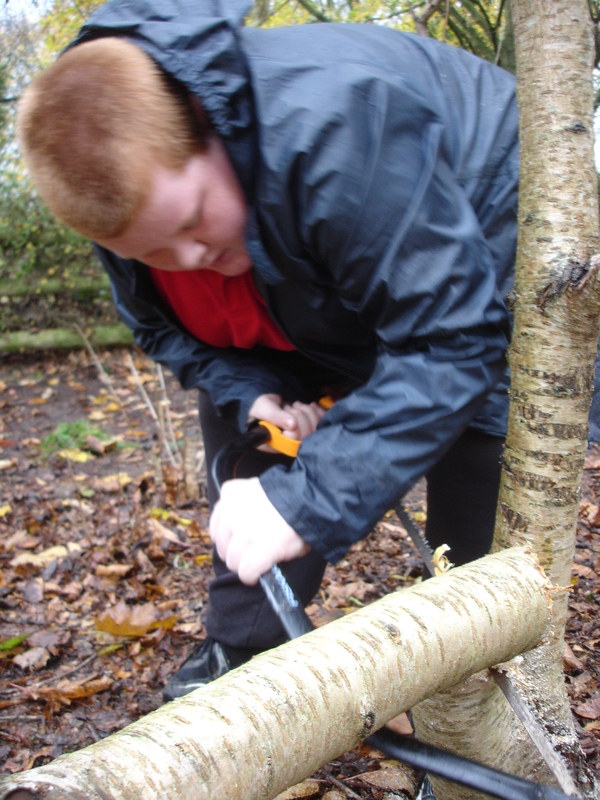 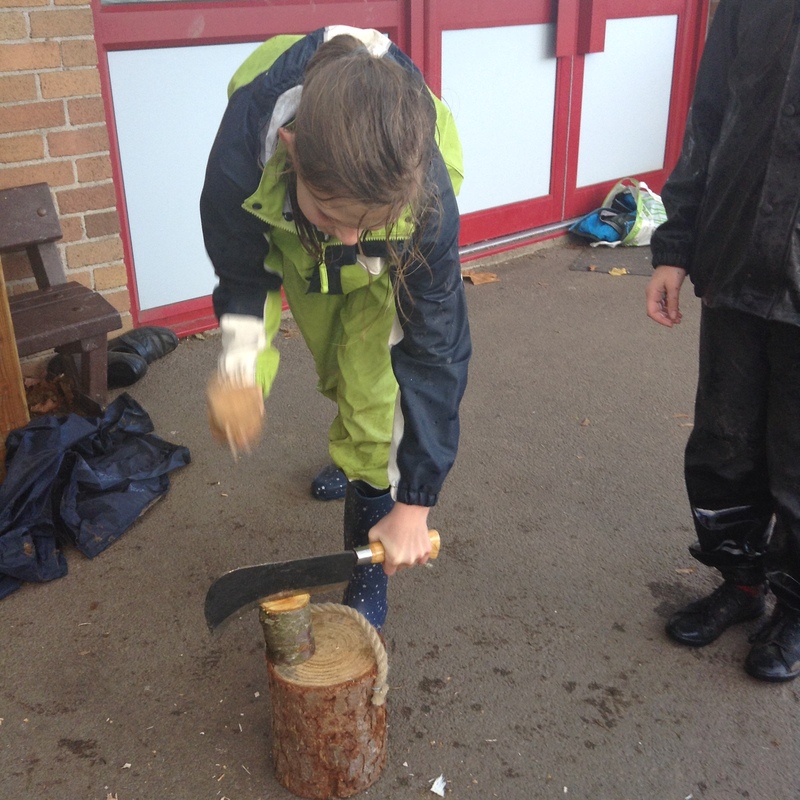 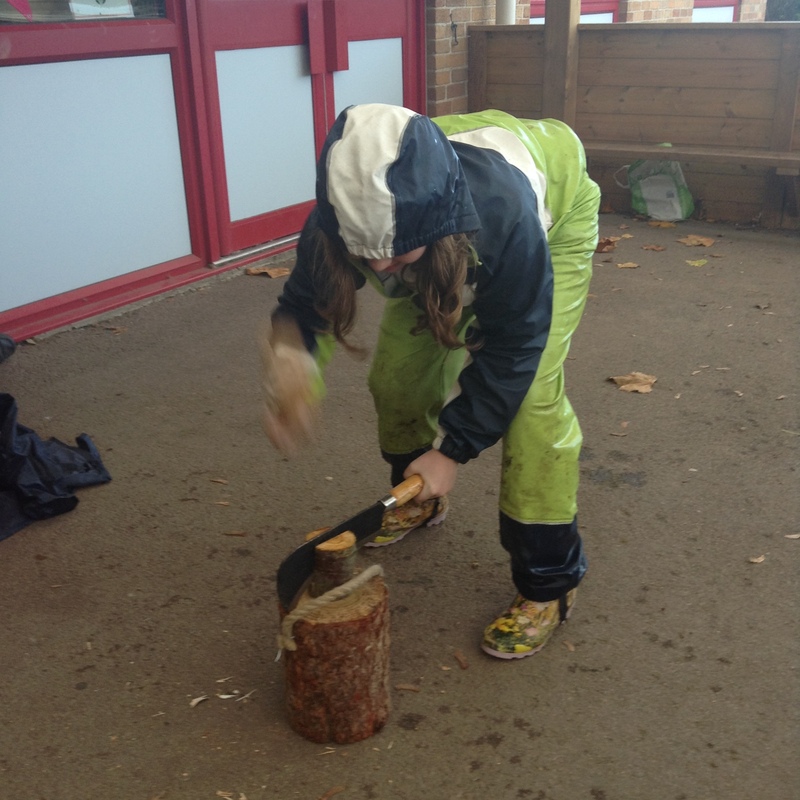 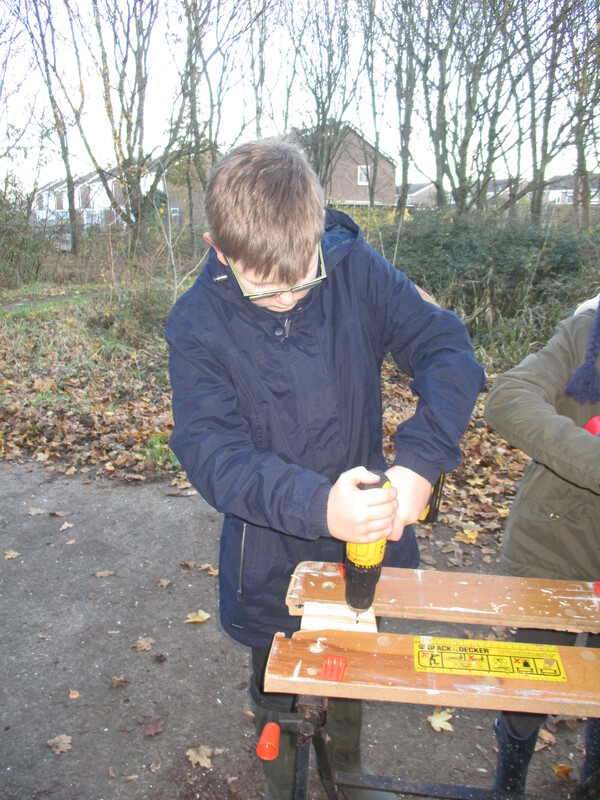 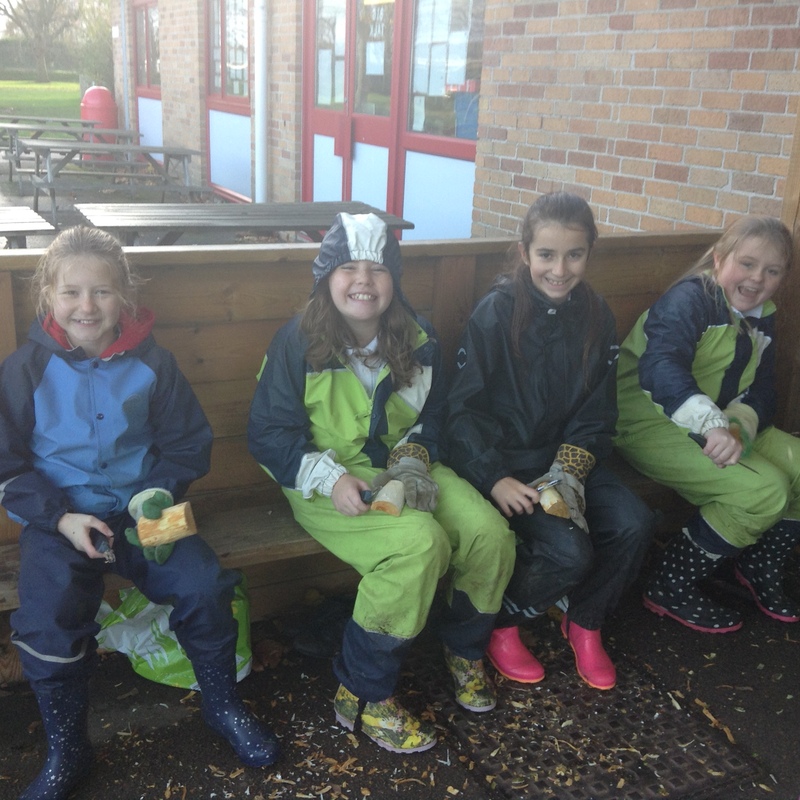 In Year 6 we are sometimes lucky enough to have a few extra Forest School sessions. 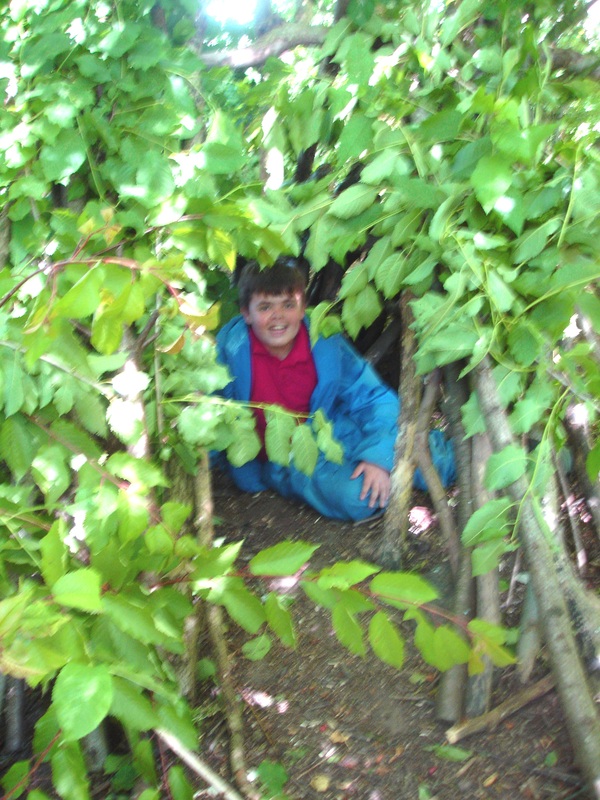 The sun came out and we went den building. 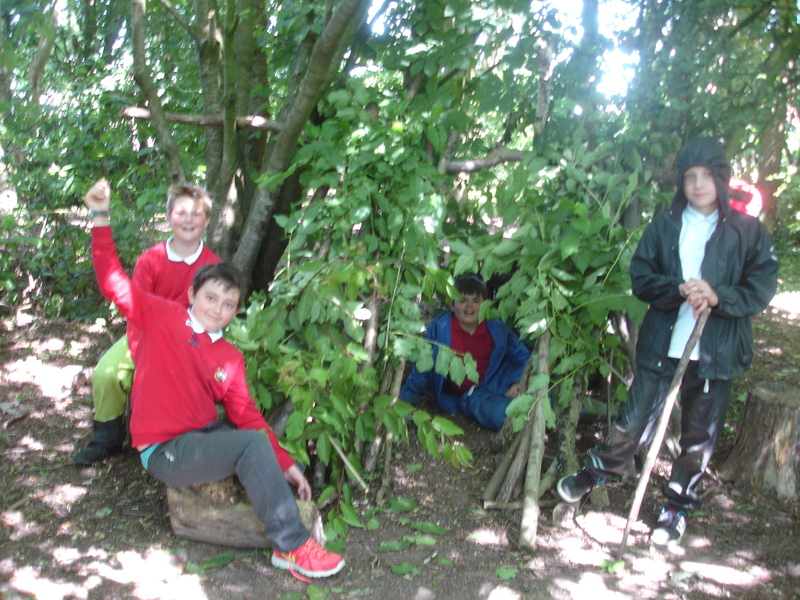 This activity required a huge amount of team work and cooperation, some of our dens are looking superb. 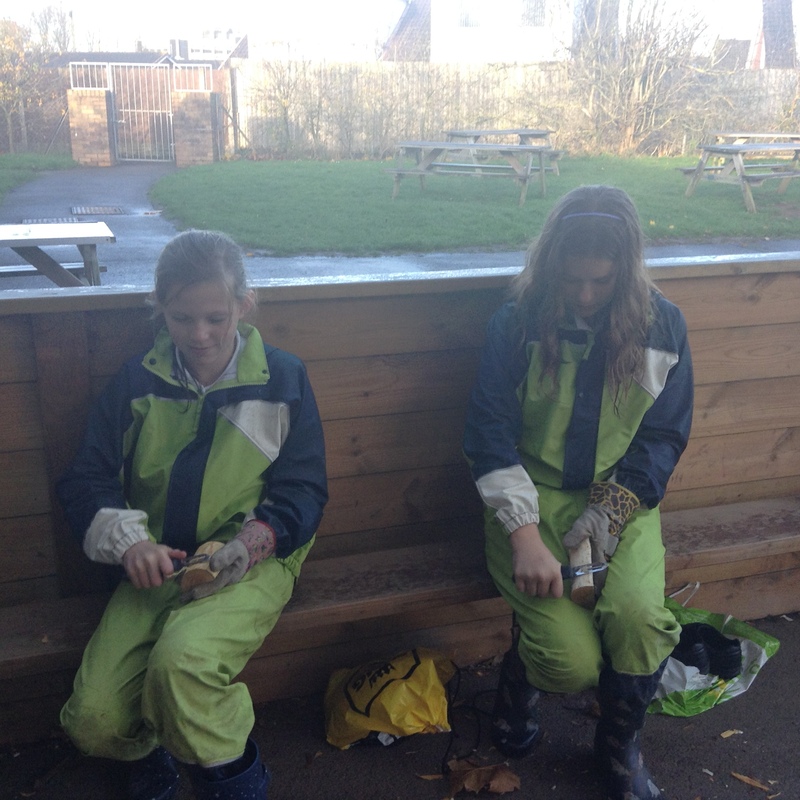 More pictures to follow as they are finished.